Established in 2004, the France Open Skiff is the first event of the French skiff season and one of the nicest and friendly regattas of the breizhskiff.com calendar. 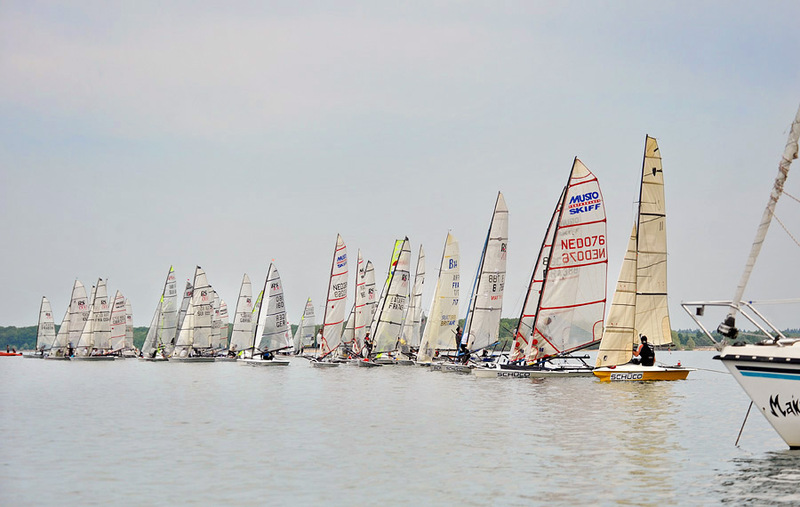 Since 2010 , the race became inevitable as it has been enriched with an emphasis on coaching and training, and so manage to bring together the community of skiffthusiasts whether beginners or experts. For loads of information, and to pre-register, please see the event website HERE. 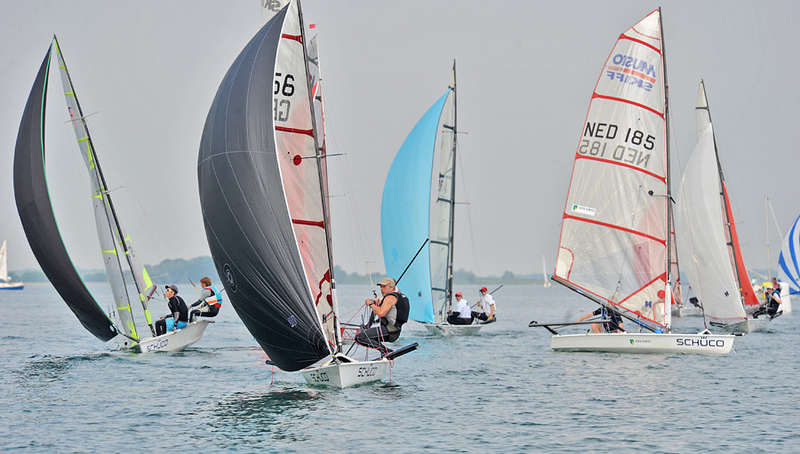 France Open Skiff brings together all levels of competitors from all over France and neighboring countries , mainly the Benelux, Germany, Switzerland and Great-Britain. The hard racer who find pleasure to take part in an unusual fleet with typical lake conditions, the skiff beginner who will play in a safe environment, each passionate find his interest in this beautiful event. Largest artificial lake in France, Der may give the impression of being lost or unlikely place for organizing a regatta. The reality is quite different. Easily accessible from anywhere in France and neighboring countries , Lac du Der allows the entire community to get together. For that reason alone , the Lac du Der worth the scenery and guarantees the time for a long weekend away from the urban madness.